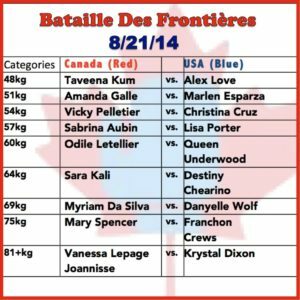 On Thursday August 21st Team Canada will taking on our friends from across the border as they take go toe to toe with some of the most talented female boxers to hail from the United States. 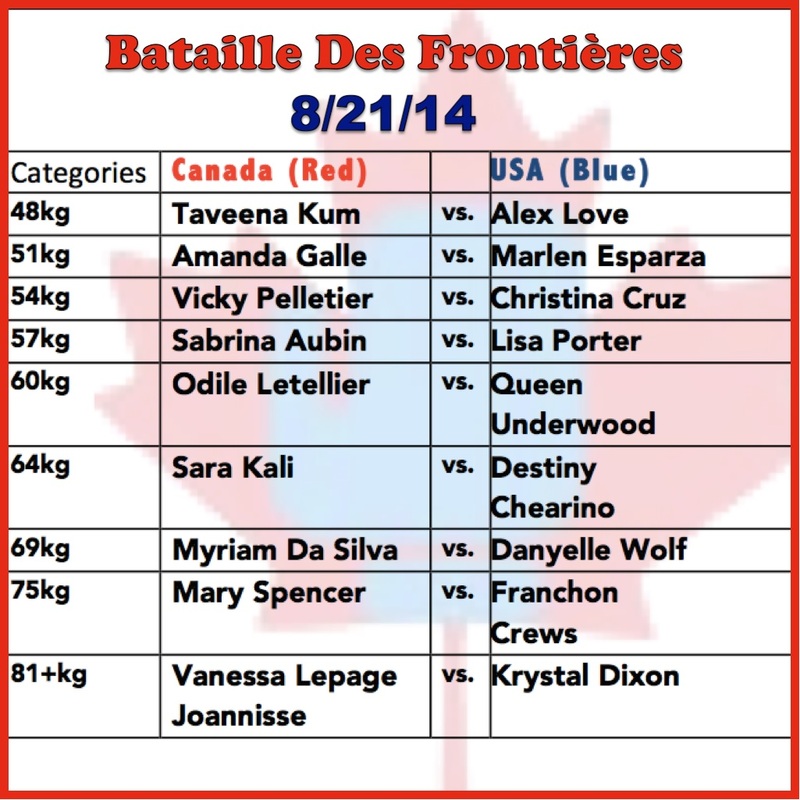 Canada is fielding a very strong team that consists of three of our top female boxers from Ontario. They include current Ontario Female Boxer of the Year Taveena Kum, Ringside Champion Amanda Galle, and Pan Am Gold Medalist Mary Spencer. Make sure to tune in and cheer on our Ontario girls as they fight for Canadian Pride as the go up against some tough US competition. This is another step on the path way to getting ready for next year’s Pan Am Games here in Toronto, which will feature some of the toughest boxers the Americas has ever seen!